Enjoy the new Galaxy S7 edge Dual sim.It provides a bigger, more stunning screen without compromise. 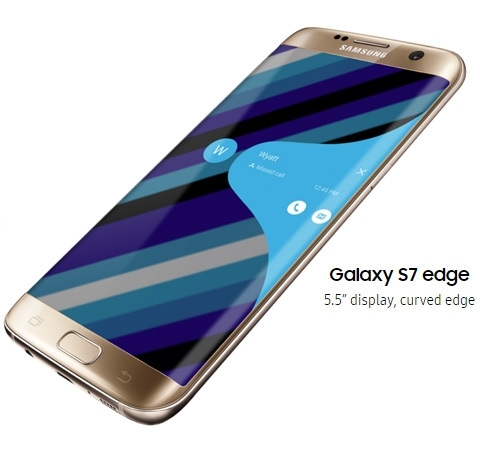 Galaxy S7 edge is lightweight and is encapsulated by an envious, dual curved edge design. Order it online on Jumia and have it delivered to your doorstep. The Galaxy S7 edge has an extended edge design that puts more experiences at your fingertips. View information such as scores, stocks, news and more. Quick access to your favorite settings, and useful tools such as compass and ruler. And the Task Edge takes you to frequently accessed commands with just a swipe. Worry less about daily wear and tear of your phone. Galaxy S7 Edge has an IP68 rating meaning not only protection against dust, it also repels splashes, spills and even dunks. Simply wipe it off and move along. Video:2160p@30fps, 1080p@60fps, 720p@240fps, HDR, dual-video rec., check quality.